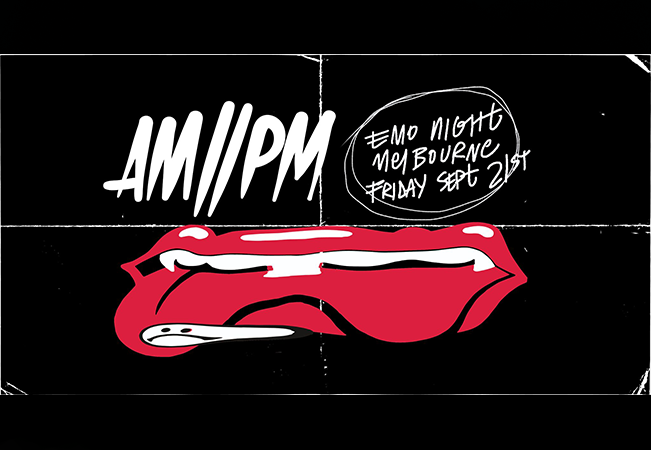 Greetings Melbourne, we are coming back for Emo Night in September, and bringing some friends along for the party! ENDLESS HEIGHTS are sneaking in for a headline before they head off to Europe on a huge run. 'Vicious Pleasure' has been on repeat at AMPM HQ so we can't wait to jam it live. EMO NIGHT SOUNDS LIKE: Every Emo / Pop Punk song you ever loved. Taking Back Sunday // My Chemical Romance // Panic! At The Disco // Fall Out Boy // The Used // Blink 182 // A Day To Remember // Yellowcard // 3OH!3 // Metro Station // All Time Low // Paramore // AFI // Parkway Drive // Alexisonfire // From First To Last // Escape The Fate // Underoath // Falling In Reverse // Bring Me The Horizon // Hawthorne Heights // Neck Deep // Cute Is What We Aim For // Sum 41 // The Wonder Years // Dashboard Confessional + every other banger ever.